FREE delivery to United Kingdom in 4 - 14 working days. "Inspired by the strong and appealing form of simple bells." Includes: Wall arm in solid brass, wired with dark brass finish wall plate. 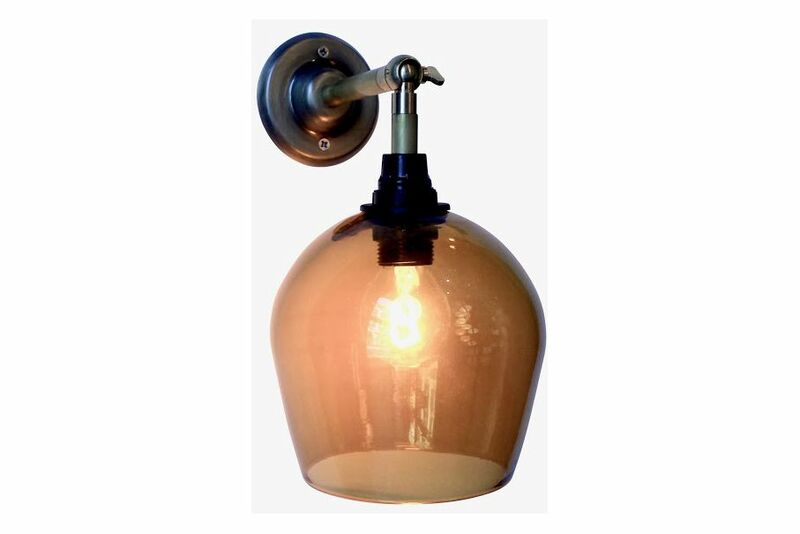 "Bell Wall Lamp is individually hand made with care by glass artists in northern Scotland. Each one is a fine and unique piece of glass. Elegance and a comforting bud form make Bell Wall Lamp perfect for long hallways and through stairwells. They also make for a lovely warm side light to brighten up the edges of a living room. One Foot Taller products are made in small factories and workshops in Scotland and France."